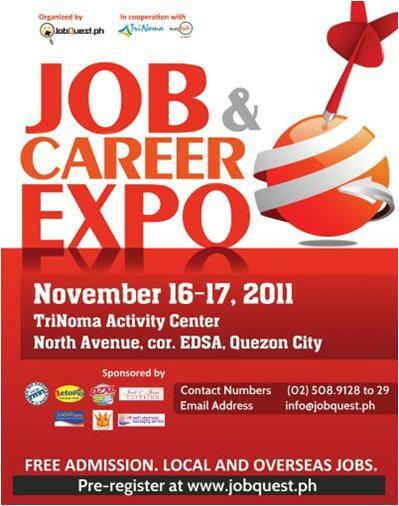 JobQuest.ph's Job and Career Expo 10 on November 16-17, 2011. Happening only at the TriNoma Activity Center, Ayala Malls, Quezon City. Local and Overseas Jobs will be offered.